When you pitch an idea or just send an email with a certain proposal to a specific investor, the hardest part of your day is waiting him or her to reply. I know this seems a bit much, but if you really care about what you’re selling and what a certain person thinks about your work, you’re familiar with this level of concern. Imagine if you could know these things? Imagine if you could know if a certain party has read your email or what’s the most convenient time to contact someone? When they’re usually free to fully commit their attention to your email? Well, you can. There’s an app for that and it’s called Sidekick. For quite some time now, I’ve been looking for a way to track and analyze the behavior of recipients to my emails. I want to know who, where, when and how many times has read my content, so that I could figure out the best possible approach strategy. If a certain person is mostly reading your emails on their phone, that means that you’re probably trying to communicate with him at a wrong time, when he is on the go. You don’t want that. You want your reader’s full attention. You want him to sit down and really focus on your words. This is where Sidekick comes in. With its real-time notification system, Sidekick automatically notifies you when someone opens or clicks on your email. When it detects a certain activity, Sidekick sends you a detailed report, telling you not just who opened or clicked on your emails, but exactly when, from which location, on what kind of device (mobile or desktop) and how many times. This precise and highly detail oriented notification lets you understand if the person is away from their desk, forwarding the email, or even traveling. 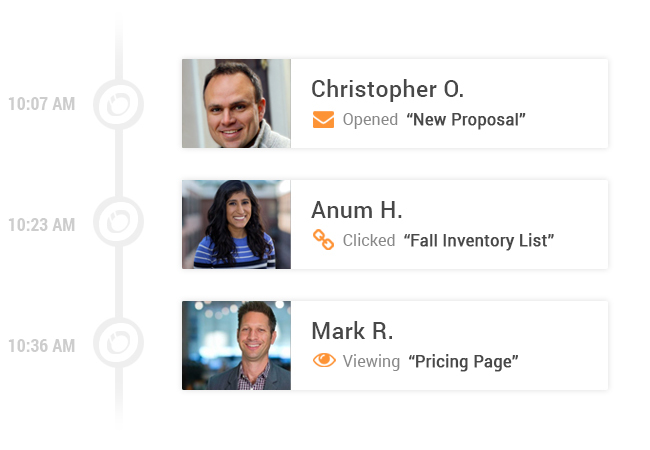 Built on the remains of what was formerly known as Signal, the guys at HubSpot recycled their previous app’s flawless email tracking system and upgraded with it all new cool features. Focusing on a grander need to enrich your email productivity, Sidekick gives you the ability to see powerful information about your contacts directly inside your inbox. With its “Powerful Profiles”, this app lets you see your contact’s personal history, where they are currently residing, which contacts you share and much more. Let’s face it. We are all constantly trying to get in touch with someone. In order to do that, we’re always looking for someone who knows that certain person who has something that we need. With Sidekick’s Powerful Profiles you can easily analyze your target and find out who’s your best link to him or her. 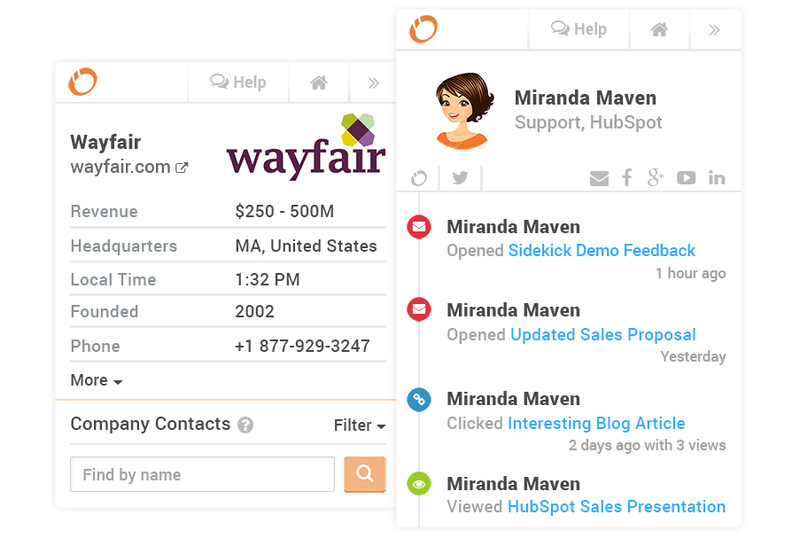 Sidekick also offers a great scheduling feature that allows you to send emails in the future. Why slave away in front of your computer in order to catch that perfect time when to engage your target, when you can just set up a time and date, and move on to other daily activities? This app also has a variety of different reminders to keep you from forgetting all sorts of important things. My head is a midfield. I’m constantly being bombarded with tons and tons of various information. Although I do my best not to forget or miss important deadlines, I don’t want to give anything to chance, so I live on a constant alarm routine. In spite of the fact that this powerful tool gives you a peak under the skirt of people who are reading your emails, you should know that Sidekick could be also used against you. So, the next time you say, “I didn’t see that email”, you should probably think twice. Get this app, it really does what’s supposed to do. I can’t recommend it enough.